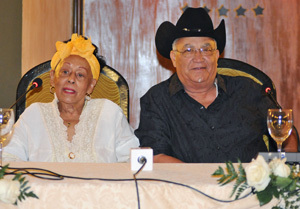 Havana, Feb 27 (Prensa Latina) Cuban traditional music group Buena Vista Social Club will launchu in March its new album Lost&Found, which could be the last one of the project, its members said. Lost&Found is a compilation of unreleased songs recorded throughout almost two decades since the founding of the group in 1996, when producer Ry Cooder gathered glories of Cuban music and recorded a CD becoming a musical phenomenon, as well as the documentary Wim Wenders produced about them. The official launching of the album will be on March 23 and includes songs such as “Macusa,” “Como fue, Bruca Manigua, Quiéreme mucho (Love Me a Lot) and the emblematic Lágrimas negras (Black Tears), banner of the Buena Vista Social Club wherever it performs, always sung by Omara Portuondo, diva of the project. The selected repertoire includes contributions from former members who have died but left an indelible mark, such as Francisco Repilado (Compay Segundo), Ibrahim Ferrer and Ruben Gonzalez, among others. Jesus ‘Aguaje’ Ramos, current director of the group, expressed the desire of the group members to tour Cuba, as so far the international profile the project has achieved has not been fully enjoyed by the Cuban public in general, he said.